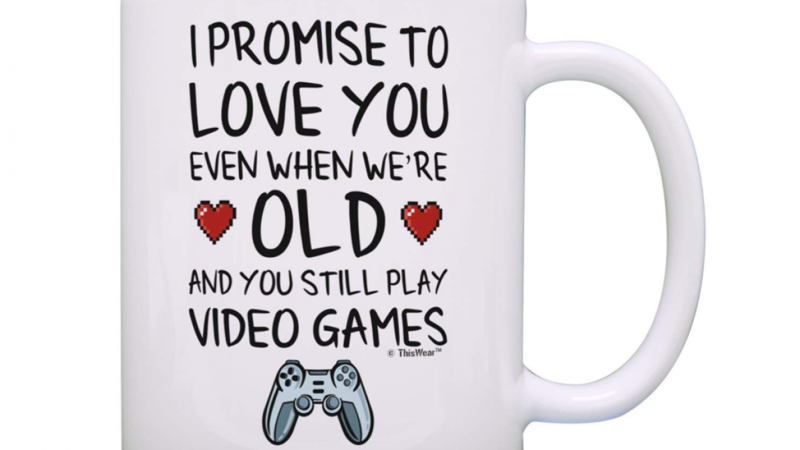 This promise of love quote for a gamer mug is great because it's funny and romantic. 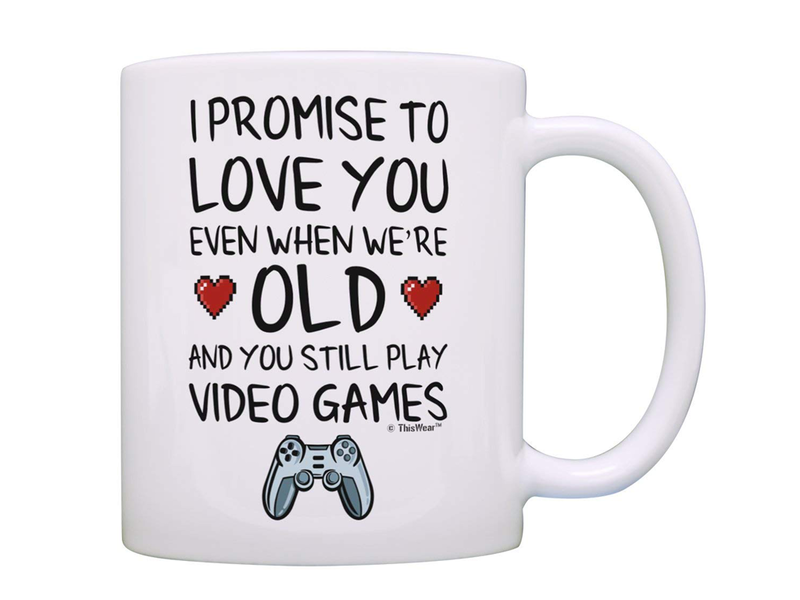 True love is forever and this mug features a cute sentiment that is sure to touch the heart of any gamer. A wonderful romantic gift idea for Valentine's Day, Christmas, Anniversaries, Birthdays or any other occasion. If you do not celebrate these things you can give it just because it's true. It is suitable to give to a man or a women and is sure to be used. Mugs are not just useful for drinks because they can also be used for other things. Many people use mugs as pencil holders or to store bedside items. There are many options if you want to give something more interesting than a mug such as using it as a succulent planter or filling it with candy before giving. Your favorite computer game nerd is sure to appreciate the humor and the sentiment. This is a ceramic 11 ounce mug and the print is displayed on both sides. Both the mug and the design are safe for anyone to use because they are lead free. The print is designed to be long lasting and the mug is both microwave and dishwasher dishwasher safe.